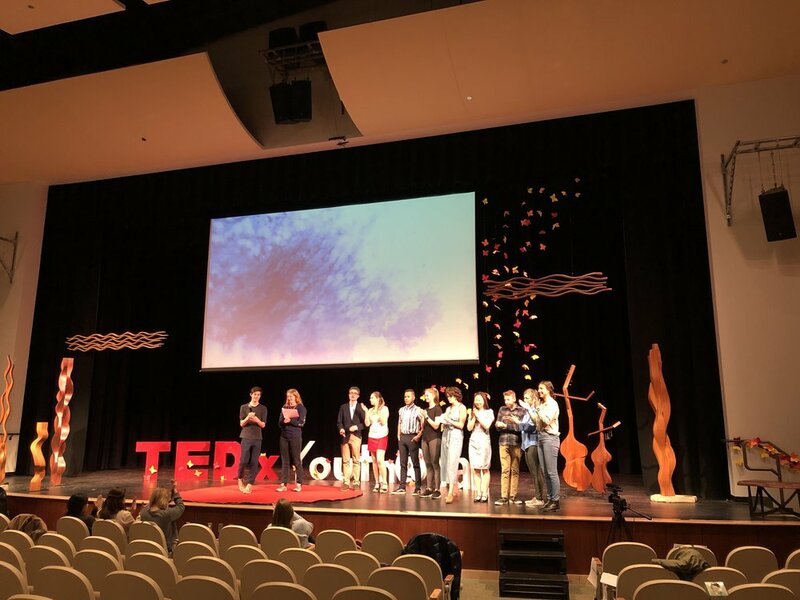 3 pm: in an hour, TEDX YOUTH VAIL will commence. i’ve been coaching on of the speakers, whose topic is narcissim in contemporary life. being away from my studio is always an opportunity review what i’ve been up to with fresh eyes. and when i give the people i’m with a tour of my site, i get to see the work through their eyes; always invaluable. 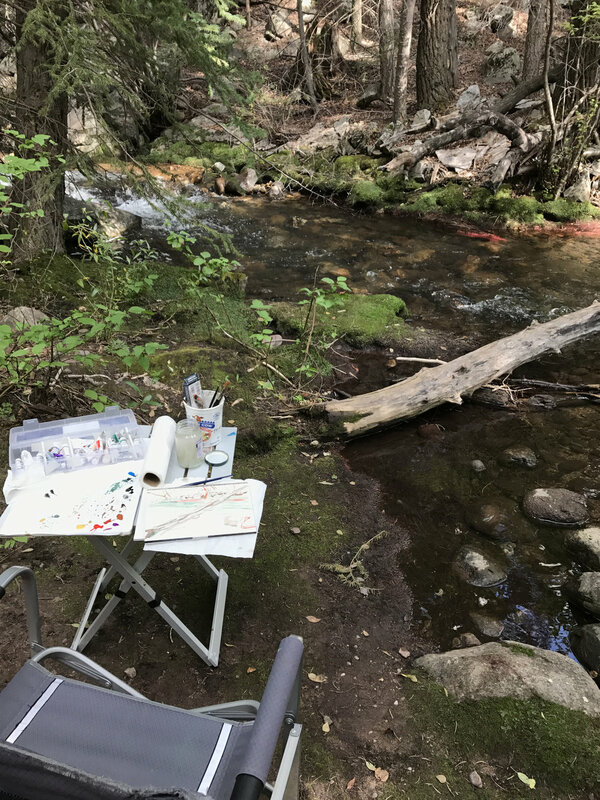 i had thought that by now i would have made my first foray out to the creek to paint plein air. i even said i was about to do that last week. but the weather hasn’t cooperated. not yet at least. so here we are at battle mountain high school. 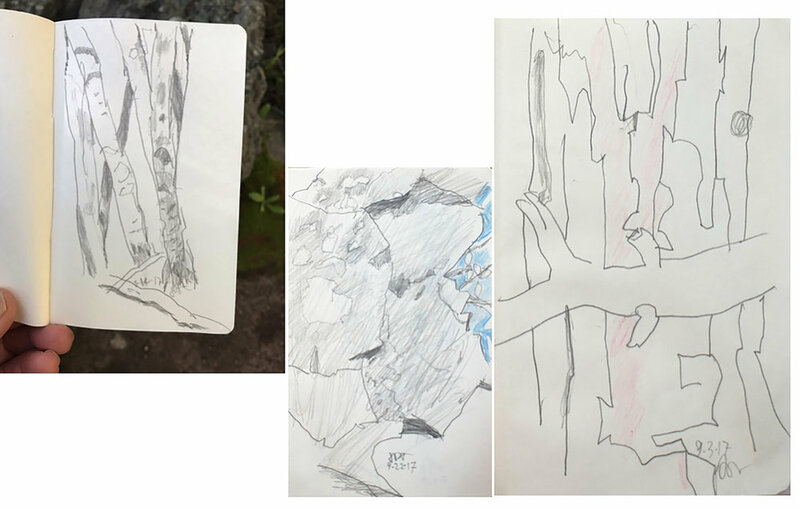 i have one of my thumb drives with me, and selected a few images to illustrate my process, from last years plein air sketches to the most recent abstracted motion paintings. this now seems to me like a very slow, slow motion production. like watching one of those videos showing the evolution of an embryo. 1) one of the hundreds of photos of the creek i’ve shot over the past few decades. 2) one of the trail drawings i’ve made on our afternoon walks up the creek. 3) my portable table & stool set up for a plein air session. 4) one of my plein air sketches in gouache on paper. 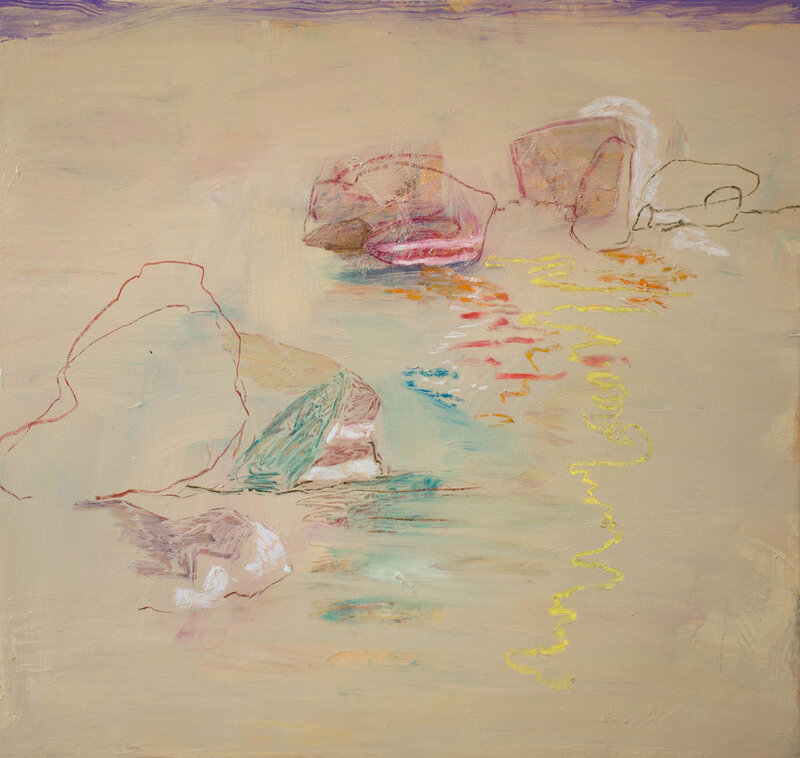 5) a recent motion series painting in oil on linen.